There are many perks to being your own boss but the reason I pursued this career was ultimately the freedom it gives me to take time off when I need to. 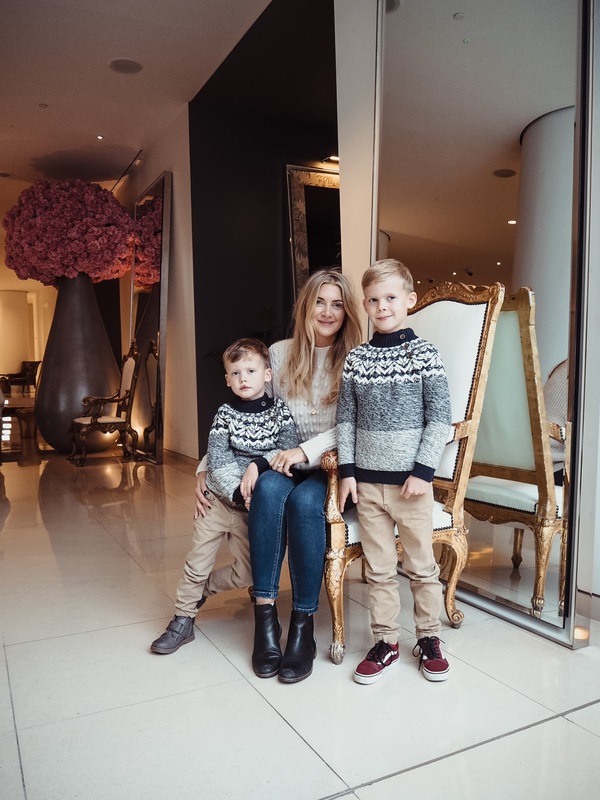 The October half term felt poignant as Sonny started school in September and this was the first week since then that I had my boys back at home with me. 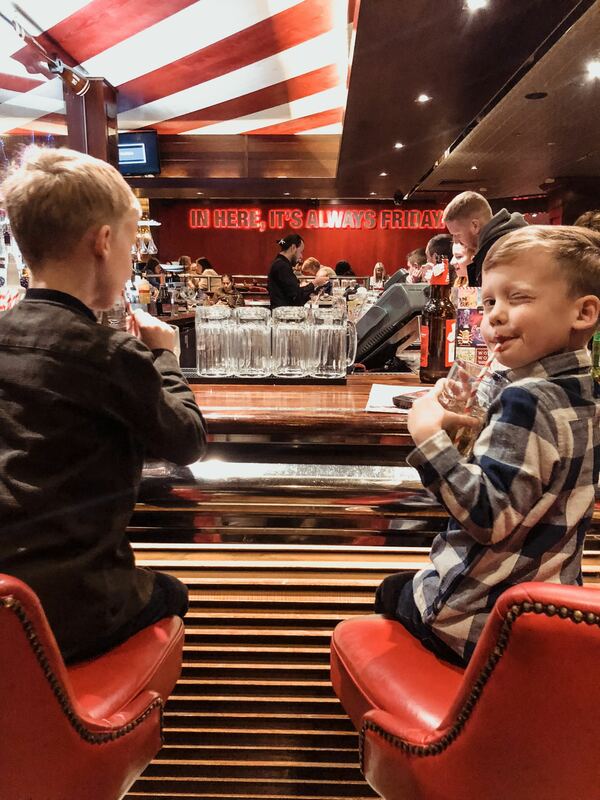 I am not a fan of normally spending loads of money on days out because I prefer to try and get the boys to find the fun in more simple activities. Partly because I want to be a top parent but also because my bank account thanks me for thinking that way. This half term however, I just wanted to be crammed with fun and so I planned days out and activity clubs for every day of the week. I have to say it made a massive difference and meant we had the most magical time. Unfortunately it isn’t something that I can afford to do every half term! I have probably set myself up for a fall when the next school holiday comes along and I get out all the craft activities. Sorry boys! I just thought I would share what we did. Mainly so that some of my favourite photos of the boys don’t get lost in my phone. We visited Westonbirt. Unfortunately so did everyone else on the same day. I had never seen it so busy! The only plus side is that it made finding the Gruffolo that much easier. We just followed the sound of the children. Like a more light hearted version of the Blair Witch Project. 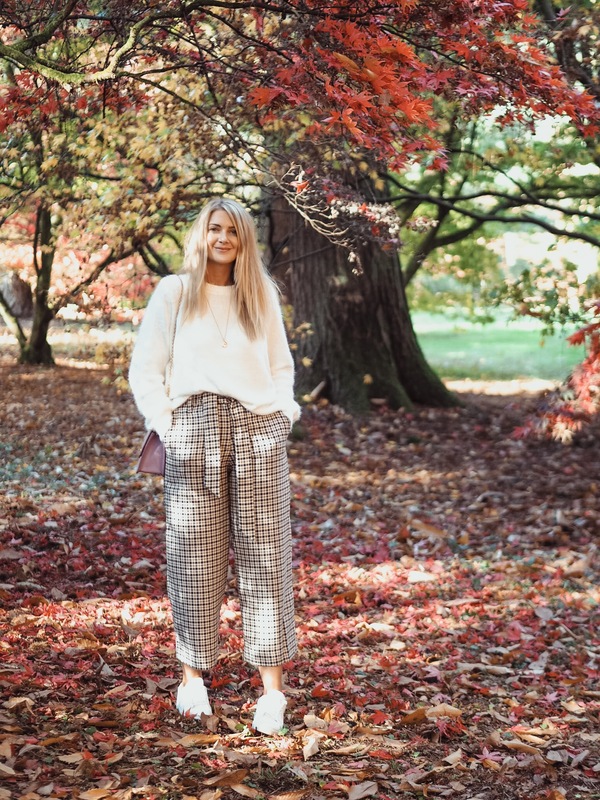 It does also happen to be a photographers (*cough cough Instagrammers) dream location with all the autumnal colours, that coupled with the fact I just believe sending time outdoors solves everything. Illness, moodiness and too much energy stop jumping on my cushions -ness, it was just what everyone needed! We also visited Overfarm. Every year they put on an amazing daytime experience perfect for children and they have Frightmare in the evenings which is the most scary experience ever. Unless being chased by zombies with chainsaws is too vanilla for you of course. It is amazing. (but I love being scared) Si wouldn’t go again this year (wimp) so I had to be satisfied with the day time activities with the boys. We went just the three of us and had the best day. Though I didn’t wrap up warm enough as usual. 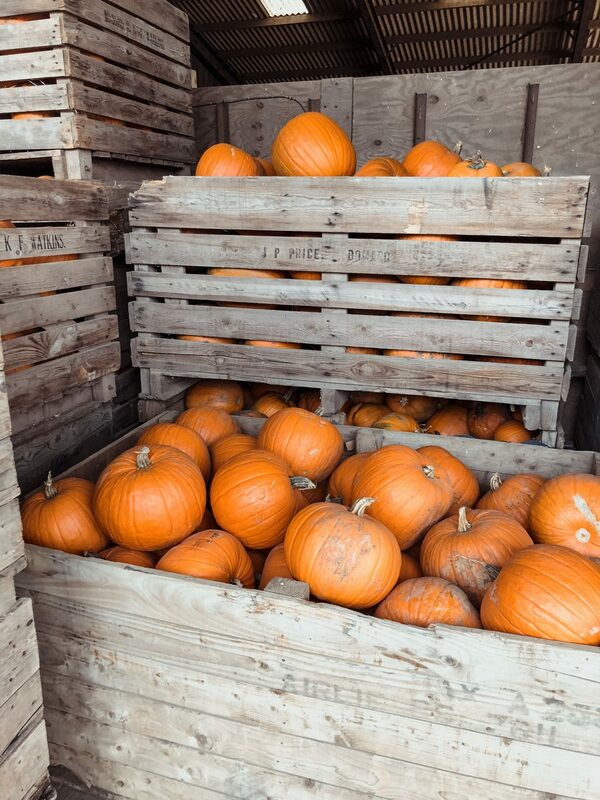 You can pick up your pumpkin and crave it here if you wish. They also have amazing food such as pizzas and hotdogs which really was my highlight. I would definitely recommend if you are local to go next year. We ended the week with a overnight stay in London. The list of things I wanted to see was huge but I took some advice and narrowed it down to just a few things which made it so much more manageable. 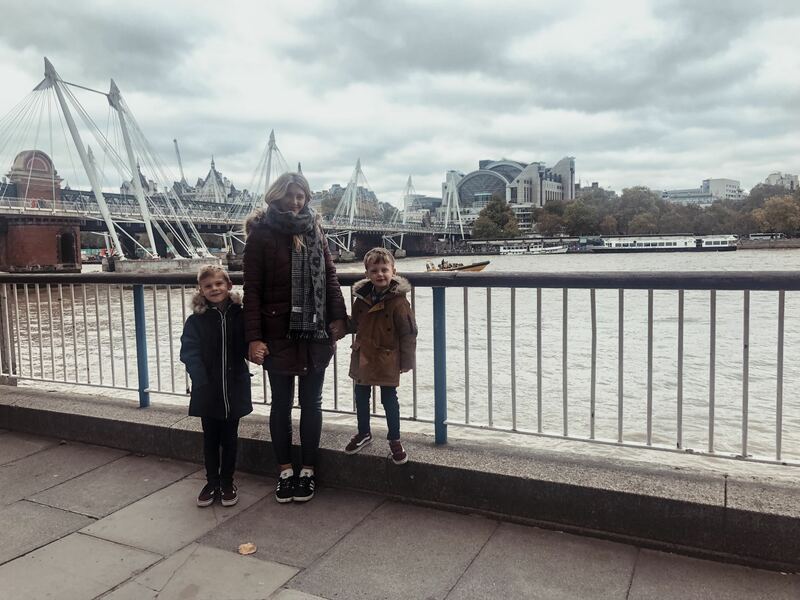 We went to the Natural history Museum and headed along south bank to see some landmarks on the first day and then despite plans to see the changing of the guards on the second day, we took the boys to Kidszania. Which they absolutely loved! My advice would be to look out for online discounts and not just rock up on the day like we did as it was pretty pricey! It is basically a world for children where they can have jobs and earn money. I hope everyone else survived their half terms too. I will need to be more creative next half term as this one was pretty pricey for me! However I feel brilliant after spending some amazing quality time with the boys. I was actually sad to see them off to school!